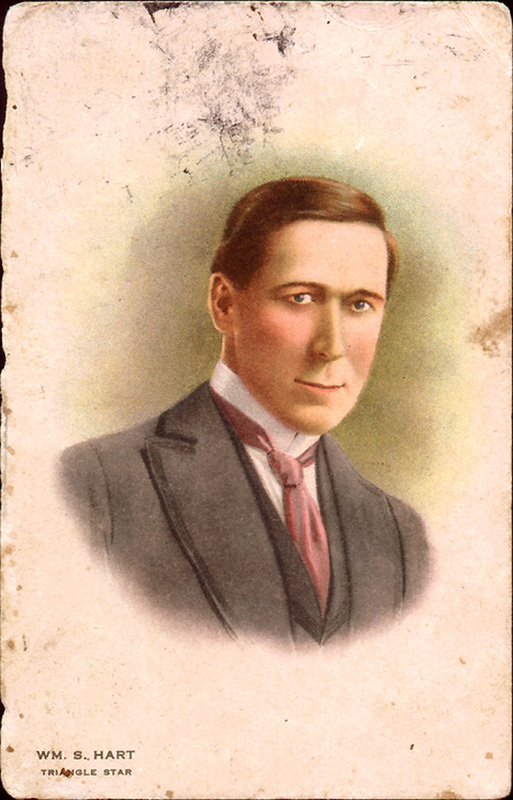 Very early (1910s) picture postcard / arcade card of William S. Hart, who was signed with Triangle Pictures Corp. at the time. Postcard published by Kline Poster Co. Inc. of Philadelphia. LW2177: 4800 dpi jpeg from original postcard.